King-of-Saxony Bird-of-Paradise on a dead tree, PNG. 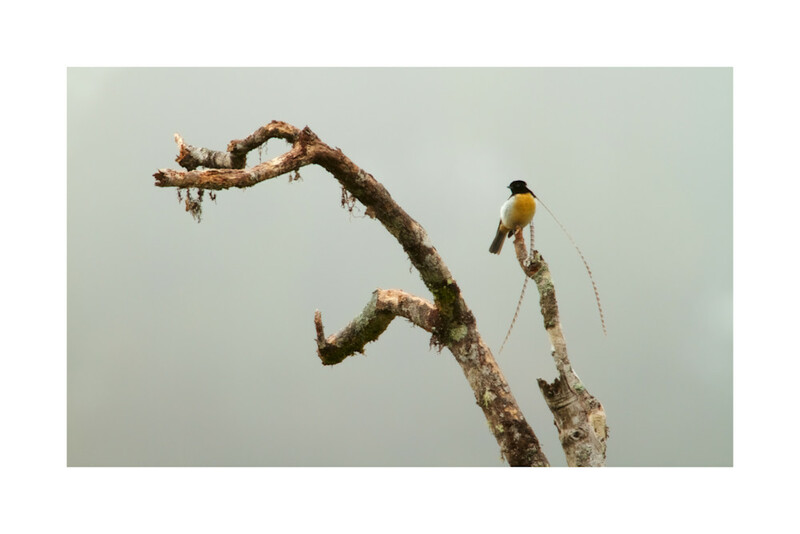 A male King-of-Saxony Bird-of-Paradise perches high above the rain forest canopy on his favorite dead snag. Tari Highlands, Papua New Guinea.